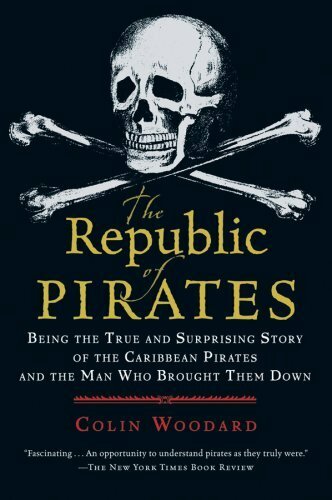 The Republic of Pirates features the 18th-century pirates Edward "Blackbeard" Teach and "Black Sam" Bellamy, both of whom rose from England's underclass to become wealthy, notorious, and enormously powerful. Along with their associates in the Bahamas-based "Flying Gang," Teach and Bellamy banded together to form a pirate cooperative, culminating in a form of government in which blacks were equal citizens, the rich were imprisoned, and a sailor could veto his captain by egalitarian means. For a brief, glorious period they were astoundingly successful, and so disruptive to shipping that the governors of Jamaica, Virginia, Bermuda, and the Carolinas all began clamoring for intervention. One man volunteered to take on the pirates--a man named Woodes Rogers, once a privateer himself and now the owner of a merchant fleet. Rogers vowed he would not rest until he had destroyed Teach and Bellamy. Here is the true story of the rise and fall of the Republic of Pirates.